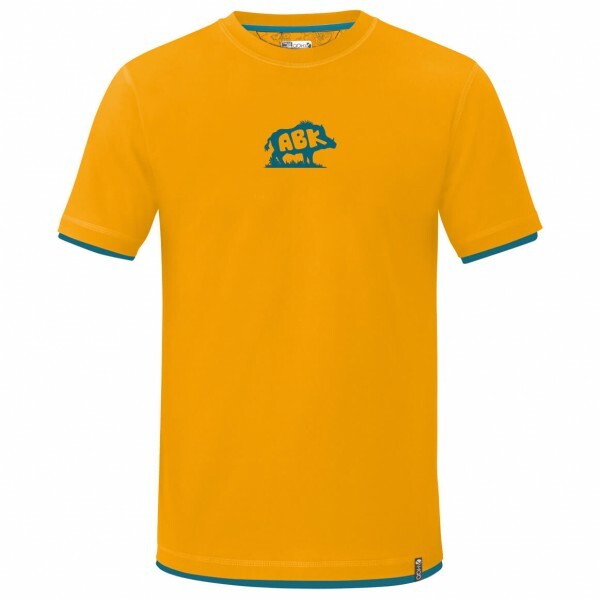 The Uiik Tee V2 by ABK is a comfortable and elastic climbing t-shirt made of sustainable organic cotton. This stylish garment with those eye-catching prints on the back and chest is not only great for bouldering and sport climbing, but absolutely perfect as a casual tee as well. No matter whether your climbing indoors, outdoors or just hanging out, the Uiik Tee V2 climbing T-shirt is comfortable and sustainable all at the same time.